The Serbian President has announced that he will make a decision on whether or not to conduct snap elections after his meetings with “world leaders”. At the meeting with high ranking members of his Serbian Progressive Party (SNS) on Tuesday, Vucic said that at the conference in Berlin “it would be demanded that Serbia recognizes the full independence and territorial integrity of Kosovo and Metohija”. The Berlin conference, scheduled for April 29 will gather the leaders of EU and Western Balkan countries. 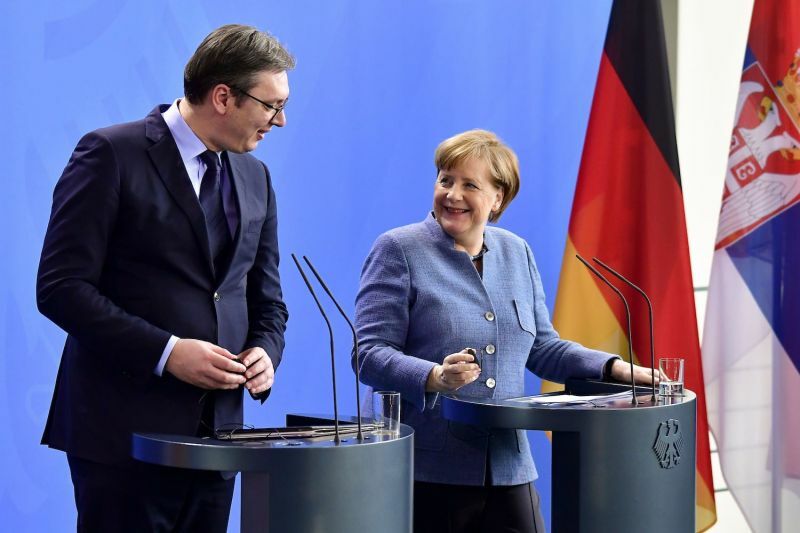 Vucic suggested that EU representatives will require a “change of the format” of the Belgrade-Pristina dialogue, as well as its continuation before the customs taxes on Serbian products imposed by Kosovo authorities are abolished. He added, however, that he would not accept the continuation of the dialogue if taxes are in force. If taxes are not withdrawn before May 6, he will propose countermeasures, Vucic said. Vucic said that he would propose a “final decision” regarding the general elections after his talks with the “world leaders”. He mentioned presidents of China Xi Jinping, Russia Vladimir Putin, France Emmanuel Macron, as well as German Chancellor Angela Merkel. If elections take place, the SNS rivals should be defeated “more decisive than ever”, Vucic went on. In the last elections held in 2016, SNS gained 48.25 percent of the overall votes. Vucic also talked about the opposition’s demands proclaimed at the Belgrade rally on Saturday, reiterating that “their ultimatums will not be met”. The opposition’s requirements with regard to media freedom, including the dismissal of the public broadcasting service management, can’t be fulfilled in accordance with the law, he said. In Vucic’s words, the opposition wants to take over control of the media. He also rebuffed the opposition’s demand considering fair preconditions for elections, saying that the electoral laws were adopted when what is now opposition ruled.